What does your OS say about you? Well, do you like freedom or don't you? 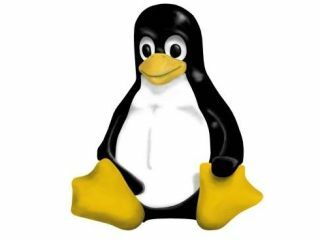 The Linux Foundation has finally chosen the winning entry for their "We're Linux" video contest. And the result is some coloured squiggles with a European accent telling us how awesome freedom is. Well yes, we all like freedom, as an abstract concept. But it's (a bit) like the abortion 'debate': are you Pro Choice or Pro Life? Boiled down to that level, it's hard to say. I like choices but I also like life. I wouldn't like to live without any choices at all but I wouldn't like to die, either. Isn't there a third option? Of course there is! There are millions of options - as many as there are people to express them, in fact. Apple chooses to characterise the desktop computer debate as "cool and stylish" vs "dull and nerdy". Microsoft counters that it's actually about "honest and down to earth" vs "pretentious and snobby". Now Linux wants us to believe the choice is really between freedom and… what? Enslavement? The 'freedom' to hack the source code of your operating system to make it do whatever you want, isn't the kind of freedom I'm interested in. I want the freedom to run whichever operating system I like on whichever hardware platform I choose. And guess what? I pretty much have that already. In trying to influence our platform choices, the operating system manufacturers have to use a pretty broad brush. If they want market share, they need to claim values that everyone wants.